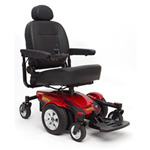 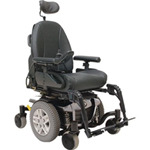 Hope Medical Supply provides standard power wheelchairs, and custom power wheelchairs with power tilt, power recline, power legrests, and power elevation. Power wheelchairs are grouped based on wheelchair performance features, and different groups of wheelchairs are generally covered according to different diagnosis groups. 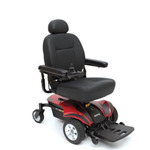 Hope Medical Supply provides all groups of power wheelchairs, including Scooters, standard power wheelchairs and high-end power wheelchairs capable of accommodating power tilt and recline seating systems. 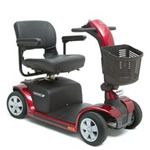 The Victory 9 is a premium Scooter with upgraded features not covered by most insurance plans.